More modern examples could be included, along with the movements they started: John Wimber’s Vineyard, Loren Cunningham’s YWAM, Lou Engle’s TheCall, Mike Bickle’s IHOP. As far as I’m concerned, this is a noble group! I aspire to be more like such men. Even so, I do not intend to suggest uniformity or compatibility between all these names, nor do I imply equal stature in historic terms. Of course not. Likewise, you might not recognize or approve of everyone on the list. Yet here is the thing that has been gnawing at me, bringing fresh conviction. I need giant, oversized Dumbo ears. Said another way: Nothing changes until someone hears. In my understanding, each of the people listed above heard God speak, or believed they did. It might have been quiet and internal, or external and circumstantial, or truly supernatural and revelatory. Regardless, it gripped them to such a degree that they began to modify their life according to the conviction of what they heard. In other words, they followed the voice. And in each case, in some measure, the world changed as a result. In fact, I daresay the world always changes when a man or woman become gripped—knowing in their knower—that they’ve heard the voice of God. Now, to be fair, it matters a great deal if God is really speaking. I don’t mean to celebrate delusion and deception. But listening is an art more than a science, and mistakes are bound to happen. I’ve made embarrassing mistakes in listening and hearing God that have been very painful, costing me trust and friendship. And yet, even though I bear the scars of those mistakes, I maintain that the greater danger of a Jesus-follower is to never live from the conviction of present revelation. Biblical revelation is objective and fixed in time. It is our north star. But the God-breathed rhema with which the eternal Word comes alive in a moment of need—an epiphany, a dream, a prophetic stirring—are the birthright of all God’s children. 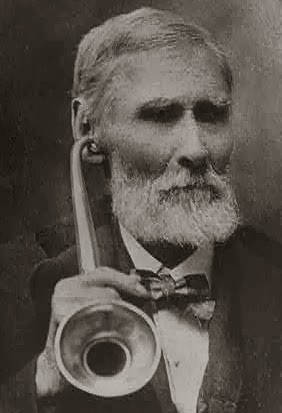 Not only do they add vibrancy and richness to our daily existence, the act of hearing and following is historically the most proving method of shifting the course of history. Exhibit A: the names on my list. Big ears. Equally amazing, God has ordered faith and revelation such that this principle remains true even in a non-religious context. History is replete with the hearing ear, the dreamer’s dream. Consider: The tune for Paul McCartney’s tune, Yesterday, came to him in a dream. According to the Guinness Book of Records, Yesterday has the most cover versions of any song ever written. The idea behind Mary Shelley’s Frankenstein came in a dream. Otto Loewi, a German born physiologist, won the Nobel Prize for medicine in 1936 for his work on the chemical transmission of nerve impulses, but the original inspiration that set him on that path came to him in a dream. The chemist Friedrich August Kekulé dreamt of a snake seizing it’s own tail, which led to Kekulé finally comprehending the circular, rather than linear, structure of the Benzene molecule. The excited Kekulé told his colleagues, “Let us learn to dream!” Likewise, the shape and structure of DNA eluded scientists until 1953, when Dr. James Watson had a dream that made him consider a double helix formation for the first time. The list goes on and on. Elias Howe’s sewing needle dream. Jack Nicklaus’s golf swing. Stephenie Meyer, the author of the bestselling Twilight series. It doesn’t matter what you think of Twilight; the point is the power of revelation. These world-changing, fortune changing examples span all types of people and multiple disciplines: medicine, science, art, sports and business. You seek to do. You seek to achieve. You seek to impact. Slow down, back up. Those are all good. But answer this: what do you know in your knower? Have you yet heard the voice? The man who knows he has heard God, who lives with a spirit of revelation upon him, cannot be dissuaded. Paul was not Paul until Damascus Road. Moses was not the Deliverer until the Burning Bush. Jesus himself only did what he saw his Father doing! Ask. Seek. Knock. Listen. Hear. Do. Nothing truly changes until you hear. ← Why Do We Need a Great Grace Awakening? Dean, your writing is fantastic but the content is full of red flags. I have heard from God many times but have never been sure how much was me and how much was God. This is normal, I believe, because personal revelation is just that-personal and not for public consumption. According to Luke 8:13 the problem was not hearing, they heard, the problem was continually recognizing the Word and growing. Focusing on Continued revelation takes focus off the word because continued revelation is not The Word.Thousands are hearing from God every day but few recognize His Word. Your statement: “Biblical revelation is objective and fixed in time” is near to heresy. The Bible (The right version) is scripture, is Truth, is The Word, is Jesus. You may as well have said Jesus is objective and fixed in time. I love your writing and I love you but you’re going the wrong way. Hi Bob, thanks for the encouragement. Based on your comments, I think my point was less effectively communicated than I hoped. Biblical revelation is fixed in time in the sense that the canon is closed. This is no more heretical than acknowledging that Jesus, in His mission on earth, was an actual person located in a real historical period. He was! Yes, He rose and ever lives, but he also *lived*. This tension between the past fact and the present reality also applies to how God speaks, and how we listen. Now, regarding the written Word, we have a real problem as people. It is far too easy to localize and entomb eternal truths in distant periods and static applications, to fall prey to the slow encroachment of dead formalism rather than the vibrancy of engagement with a God who delights to speak. Thus, part of the Holy Spirit’s mission is to continually renew such revelation (of the Living Word! )—so that ink on paper becomes God-breathed all over again—in each of us, in every age, precisely because of the timelessness of those truths and the Person to which they bear witness. This is why we need ears to hear. My article focused on a particular application attested to countless times in Scripture—dreams—but the point was simply that God loves to speak to us, and we would do well to broaden our aptitudes for listening. Furthermore, I was relying on the implicit witness of Scripture (as I understand your point to be about emphasizing and safeguarding the ever-present voice of God in the canon) to suggest that the very thing Scripture encourages—God speaks! Creatively! So listen!—is a process that continues to this very day. Grace!